Ah, the humble brunch. The perfect meal from when you've had a well deserved lie in on the weekend and you're looking for something that's going to set you up for the rest of the day. It's became the hip thing over the past few years and it now seems like every place has it's own brunch menu. Luckily for you, I've tried out a few brunches in Edinburgh in my day. 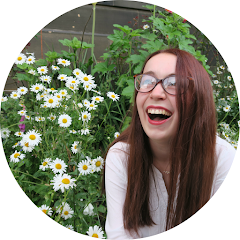 And I'll be sharing them with you in this handy guide to the best brunch in Edinburgh. 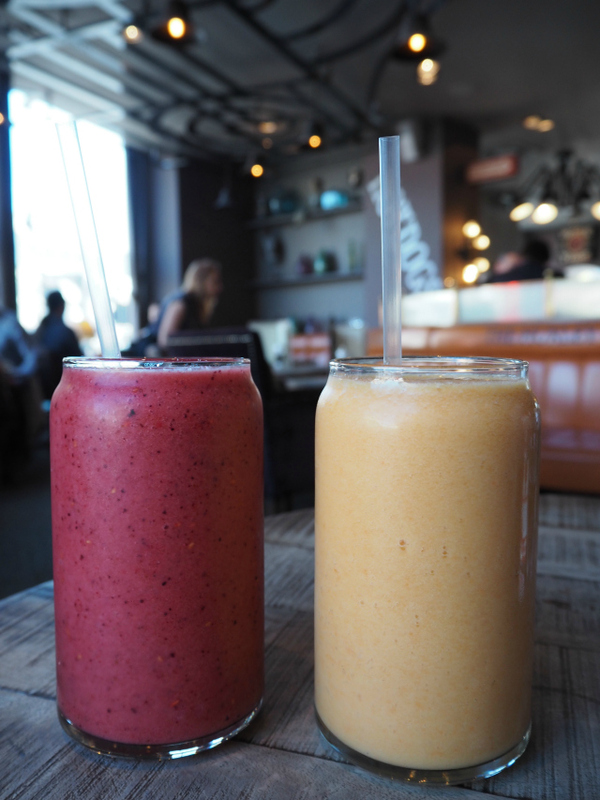 If you're a fan of breakfast smoothies then you'll need to check out the Huxley. Their fresh fruit smoothies are a great, refreshing way to start the day. 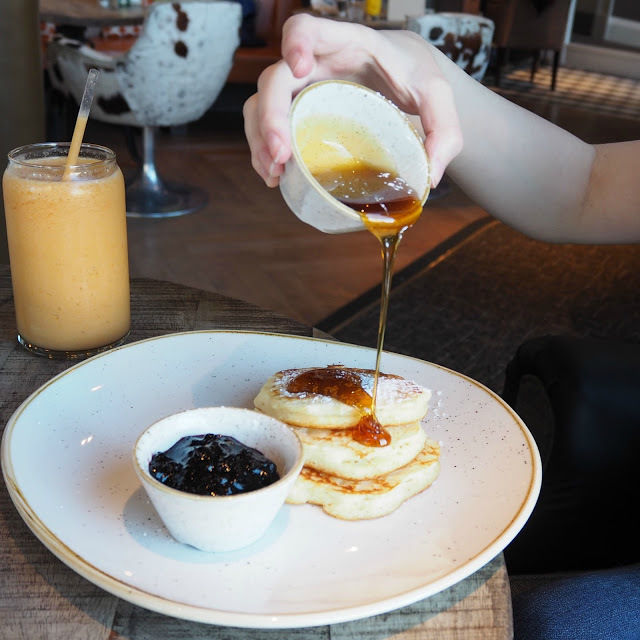 They have everything from the full Scottish breakfast to sweet American pancakes with blueberry compote (with a lot of eggs in between for good measure). The Huxley is a favourite of mine for any meal of the day so you won't be disappointed, whenever you plan to visit. Read my full review of The Huxley. Another favourite of mine and for good reason. Southpour isn't in the dead centre of town but the short walk is definitely worth it for the food. The brunch menu isn't huge but focuses on really great, fresh food and is very reasonably priced. I've just noticed that they've added peanut butter & jelly french toast to their menu since I last visited which sounds absolutely divine. Plus if you're a design fan, Southpour is one of the trendiest looking places in Edinburgh. Read my full review of Southpour. I guess it makes sense that if you want to go somewhere for brunch, a place called Brunch seems like a pretty safe bet! If you're a fan of eggs benedict then you'll have to give this place a try. Their menu operates on a design your own basis so that you can pick your own toppings, the possibilities are endless! They also have delicious pancakes which are served with fresh berries and my favourite - sweet Canadian maple syrup. Read my full review of Brunch. 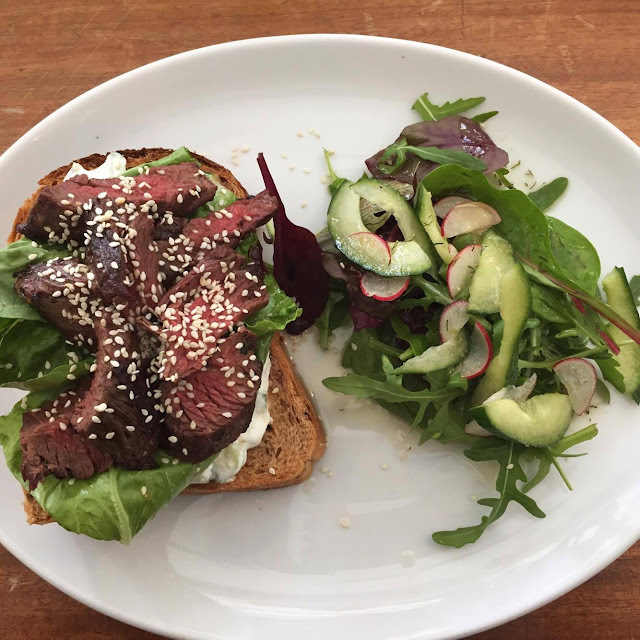 Honeycomb & Co is a new place in Bruntsfield that's swiftly gotten very popular. Mainly because they have the most instagrammable decor ever. They have really solid but unique brunch menu, fresh salads, cakes and focaccia. What's not to love? I visited with Leda recently for an early lunch on a very rainy day and we totally tucked in. I had the fresh chilli focaccia with garlic and rocket pesto, goats cheese, prosciutto and tomatos. It was so refreshing. I also had one of their honey buns for dessert and it was amazing. It's a bit off the beaten track but Hema is well worth the search for. My friends and I piled in here after our first exam and the good food was exactly what we needed as a nice distraction. They have their lunch and breakfast menus on at the same time so there's something for everyone. I opted for the open chilli and sesame steak sandwich which was served with a cucumber tzatziki. It was delicious and the meat was ever so tender. A few of my friends tried their cooked breakfasts which they said were great. This place is my friend Maddie's favourite and I can understand why! It's also dog-friendly as if you needed another reason to go. If you've ever asked me for restaurant recommendations in Edinburgh then I've probably pointed you in the direction of 56 North. It's my favourite place in Edinburgh. I'd only eaten off of their main menu before but my friends and I visited for brunch the day after our chemistry ball. 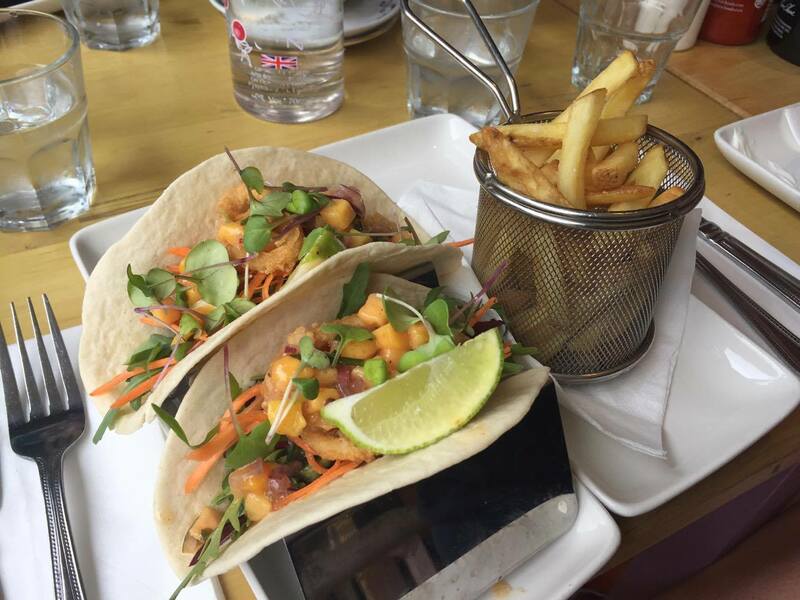 I actually ordered the squid tacos which feature on their £5 lunch menu and they were the perfect hangover brunch. The crispy calamari rings added the right amount of self-indulgence whilst the fresh mango salsa chased away the cobwebs. The eggs benedict were very highly rated by my friends too. And since 56 North do the best fries in Edinburgh, I had to get some of course. If you've got any brunch favourites in Edinburgh let me know in the comments. So I can do some face stuffing research of course!